Another event not to be missed! 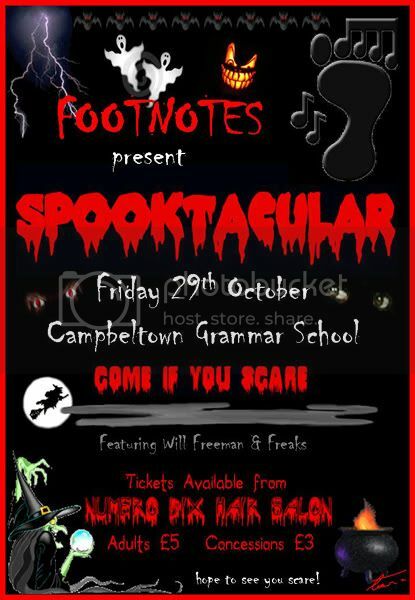 Local Dance Group Footnotes are hosting Spooktacular on Friday 29th October 2010 in Campbeltown Grammar School. Tickets are £5 and £3 for concessions and you can get them locally at Numero Dix.